Use TLG as your on-the-road fleet maintenance manager and retain vehicle ownership without investing crucial capital on managing the show yourself. Fleet Maintenance Locations Find locations for custom fleet services near you. The Larson Group offers fleet maintenance management and custom fleet services so you can focus on other matters. When you outsource fleet services to TLG, you’ve got an experienced over the road fleet maintenance manager at the helm. You’ll retain vehicle ownership without tying up capital or literally trying to manage too many moving parts. TLG will assign a dedicated fleet maintenance manager to set up an in-house maintenance program for you and handle hiring, training, and retention of technicians who maintain the custom fleet services and maintenance you need. Let TLG help select the perfect schedule and programs available to best fit the model and condition of each truck in your fleet. Not only do our fleet maintenance services come with predictable, budget-friendly payment plans, but they save you much-needed time and effort so you can get back to what really matters—operating your business. Let us answer your contract maintenance questions. TLG Peterbilt's contract fleet maintenance services will help you track and lower costs. Reach out to get started. TLG Peterbilt's dedication to its customers shows through its money-saving custom fleet maintenance offerings. 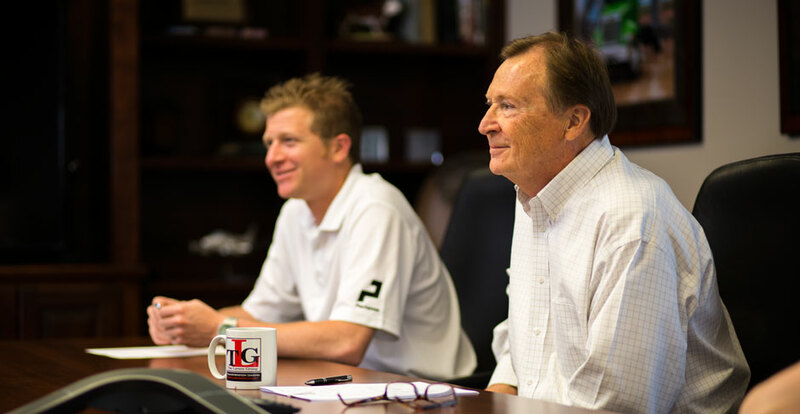 TLG cares so much about the business that they want to continue to make the right decision for the customer.